Media content management for several hundred of products. At Garnier, the marketing team and the design team were having a hard time due to the increase in demands from one another. In fact, with several hundred different products, each with a significant amount of marketing material created by the design team, organizing the content had become quite a challenge. We created a Web platform to help structure the company’s digital, promotional material. Today, the designers can easily upload and organize all their creations. As for the marketing team, rather than send countless email submissions, they could download the required material on their own, and submit requests to the designers through the same portal. Consequently, the whole team becomes faster and more efficient; the design team spends less time answering emails and the marketing team is more independent. The platform can accommodate large files and various formats (videos, 3D product files, Photoshop documents, etc.). Beyond its impressive storage capacity, it could also classify files in a number of different ways: based on type, resolution, or even according to product portfolios or sub-brands searches. These options to refine searches are extremely useful to the marketing team. Finally, when several documents are being downloaded, they could be obtained simultaneously in one single, compressed file. The portal also serves as a News Centre: when users connect, they find information on the latest advertising campaigns and videos on new Garnier products. This system is quite simple: you need only upload a video file for it to be automatically stored in the cloud. During this upload, progress bars are visible to all users. Subsequently, when the marketing team wishes to download this file, it is easily accessed. Moreover, they can choose whatever format suits them best. Amazon Elastic Transcoder allows multimedia files to be converted from their source format into any format supported by various devices such as smartphones, tablets and computers. The files are then downloadable in various formats and optimizations. 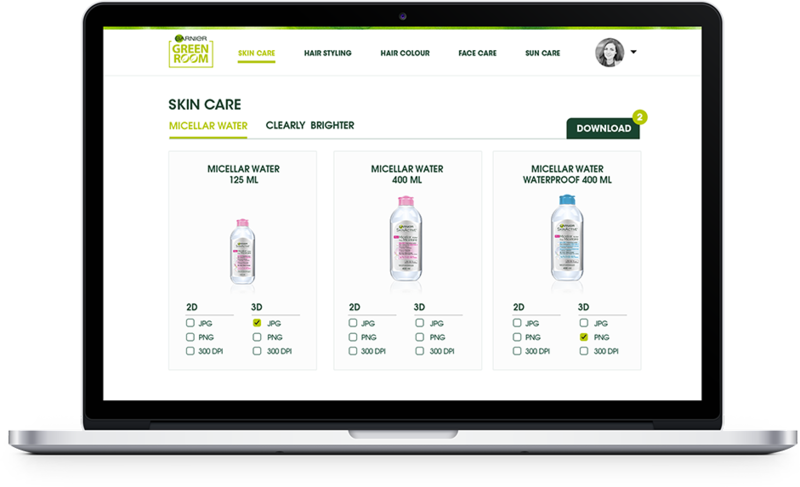 This Amazon service was created specifically for larger and more extensive multimedia files, which is precisely why we have integrated it into our customized solution for Garnier. Once a file has been converted, it is systematically stored in an Amazon S3 compartment. This server automatically organizes files based on their features, in a simple and secure manner. As for the AWS region, it was chosen with one goal in mind: optimization (which simply means that the server is located in Canada, so as to minimize the application’s data latency as much as possible!). Videos could be viewed directly on the platform. Various surveillance systems ensure that viewing will be uninterrupted. And seeing as everything is stored in the cloud, transfer speed is quite high, and the content is optimized for a low latency. 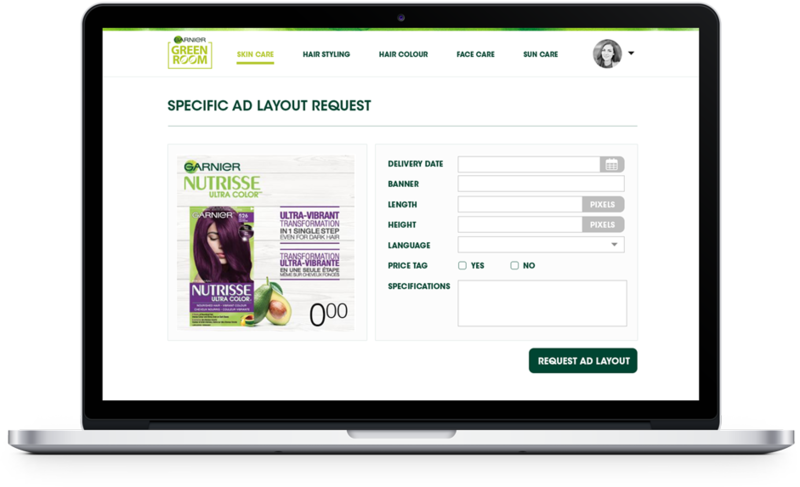 At Garnier, the demands to create advertising or promotional materials are endless. Very often, these consist of adapting existing visual content, such as modifying the price on a poster, changing a tag line at the end of a video, etc. Our system now allows the marketing team to contact the designers directly through the platform. This approach streamlines submissions, ensuring that they contain all the necessary information, and guarantees that they are not overlooked in an endless stream of emails. Once the platform is up and running, Exolnet remains present to ensure its proper functioning. Problems are rare, but if they occur, automatic alerts notify us so that we may quickly re-establish the service. Seeing as all the files uploaded to the portal are saved in the cloud, the Garnier team could now rest easy: come what may, their marketing material is safe and sound.